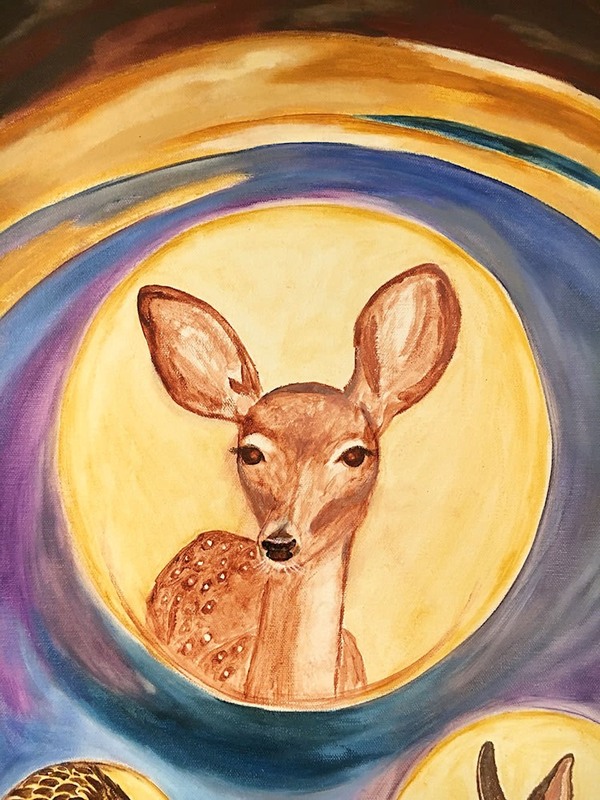 I open my heart to the love that surrounds me. 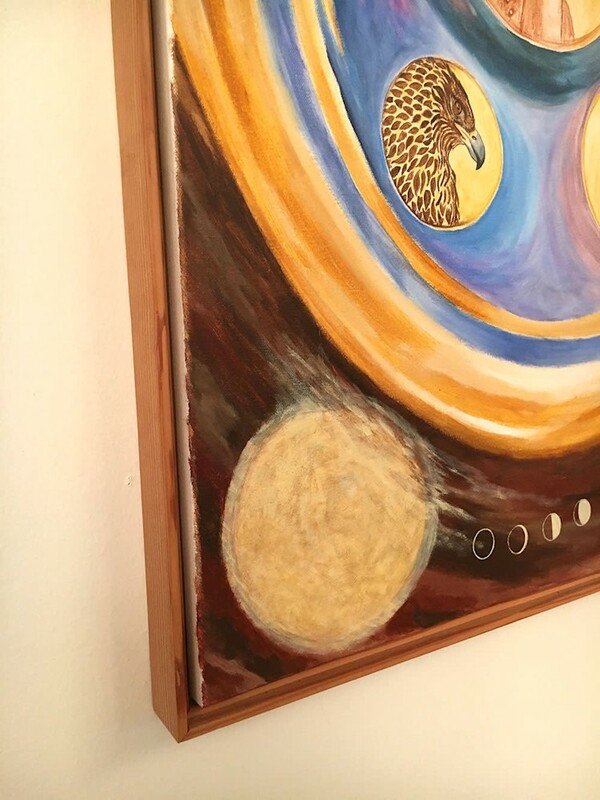 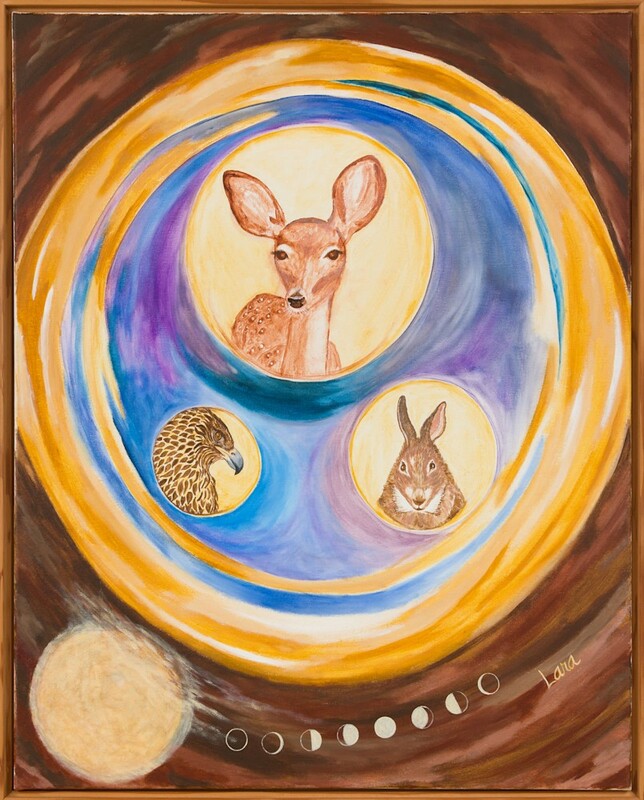 I love the Native American relationship with animals as guides and teachers, and this painting reminds me of a medicine shield. 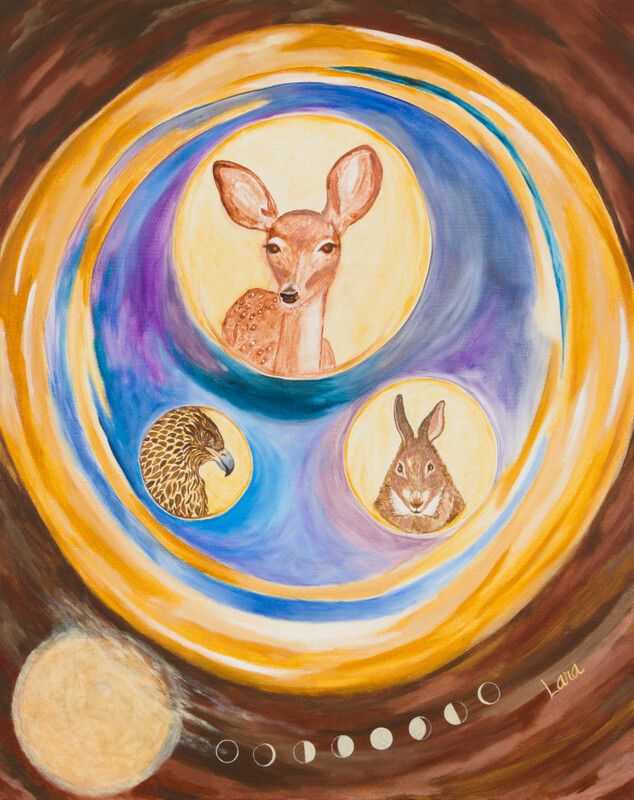 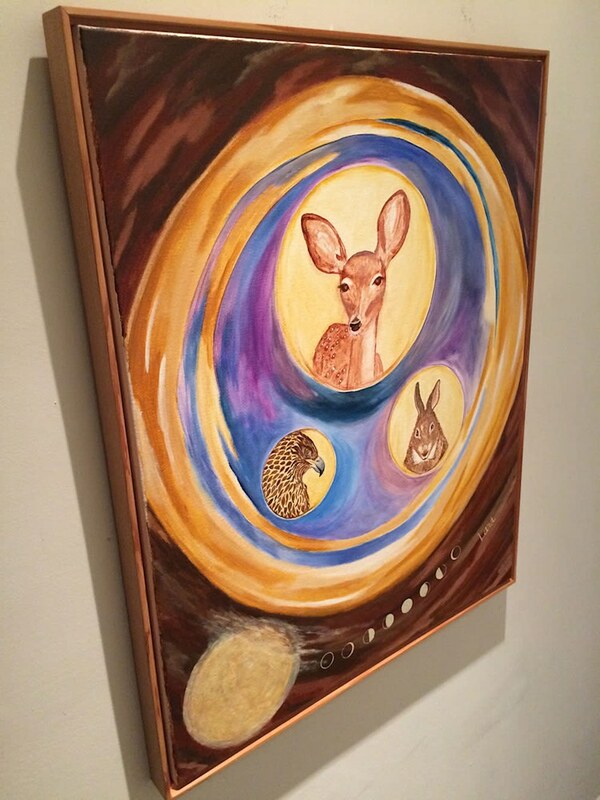 Each animal depicted offers specific gifts, and the cycles of the moon remind us to embrace change.